Blog Post Where did all my Yelp reviews go? Where did all my Yelp reviews go? We occasionally get calls from businesses having problems with Yelp reviews in San Luis Obispo County. “Where did all my Yelp reviews go?” is a common question. Yelp’s goal is to create a good user experience with honest evaluations of local businesses to help consumers make informed buying decisions. 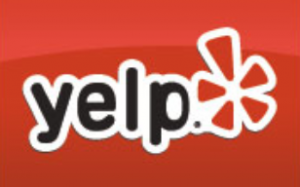 Like all social media and online review sites, Yelp uses computer algorithms to help it sort through reviews. Seldom does a real Yelp employee look at them. The algorithm automatically filters out 20-percent of the reviews it receives from its estimated 78 million monthly users. So, why are Yelp reviews filtered? There are many factors that contribute to Yelp’s decision to filter a review. Think of each of these factors as contributing to a quality score of the review. The higher the score, the more authentic the review, and the more likely it is to be seen. 1. Is there a cluster of reviews just written? Multiple reviews posted on the same day or even same week often raise a red flag to the algorithm. 2. How long has the author been a member? If the author just joined this week, the review is more likely to be filtered. If you are a long time Yelper, you carry a little more weight. 3. How many reviews has the author written? The more reviews an author has written, the more weight their reviews carry. Yelp likes active users and tends to filter infrequent users. 4. Does the author have a complete profile? The more complete an author’s profile, the higher the quality score. A good profile has a photo with a face, a real name, and most of the profile questions answered. 5. How many friends does the author have on Yelp? The more friends the author has the better. 6. Is the review a five-star or a one-star review? “Raving fan” and “upset customer” reviews tend to get more scrutiny when it comes to Yelp’s filter. 7. Were the reviews drafted on the same computer? Yelp is looking to the email addresses and IP addresses of users and lowering the quality score of reviews coming from the same place. They are looking for evidence of existing relationships between authors and considering that as a factor. 8. Were the reviews solicited? While encouraging your customers to write a review is a good thing, Yelp doesn’t like it. One indication a review is solicited is when a visitor follows a URL link that goes directly to the business profile. 9. Are there more reviews on this business than natural? Yelp can look across millions of listings and tell if the number of reviews is excessive for the size of the city or type of business. Yelp expects to see hundreds of reviews of a restaurant in a big city, but not a hardware store in a small town. 10. Is the review stuffed with keywords? A good review is written with natural language. A phony review is more likely to be stuffed with business keywords and superlatives. We see Google using this as a filtering tactic even more so than Yelp. No single one of these factors appears to be the deciding factor, but rather a blend of them. You will notice a common theme among authors with filtered reviews. Typically they have zero friends, have written one or two reviews, recently joined Yelp and wrote a five-star review. If you think about it, it makes sense that Yelp might think these are phony reviews. Why are ALL of my Yelp reviews filtered? The number one reason a large quantity of reviews is filtered is that Yelp sees multiple indications of unnatural behavior. If many of the things on the list above are happening repeatedly, Yelp puts the business profile on a black list. Once a business is suspected of bad behavior, many more reviews are filtered and held to a higher standard. Do you see a common theme to the filtered reviews for this business?